You start the back nine with a pleasant par 5. Keep your drive on the left hand side of this uphill fairway to avoid a cunning bunker cut into the right side of fairway. 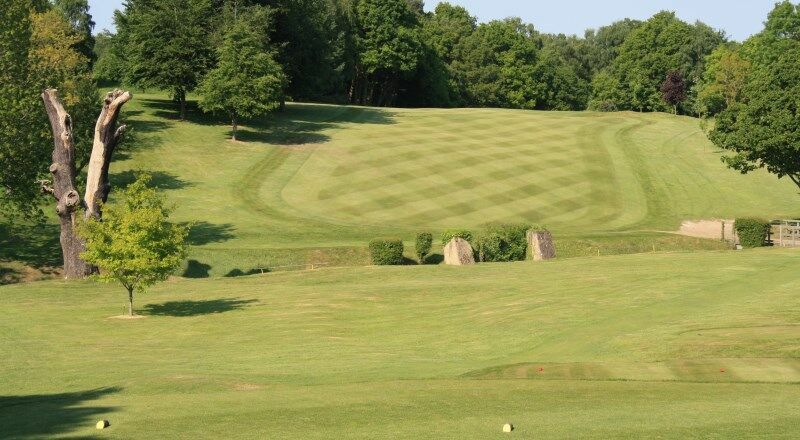 A straight second shot will leave you a gentle pitch into the green which is well guarded on both sides. The green is long with the backdrop of tall trees. Drive along the left hand side of the faiway to avoid being blocked out for your 2nd shot. 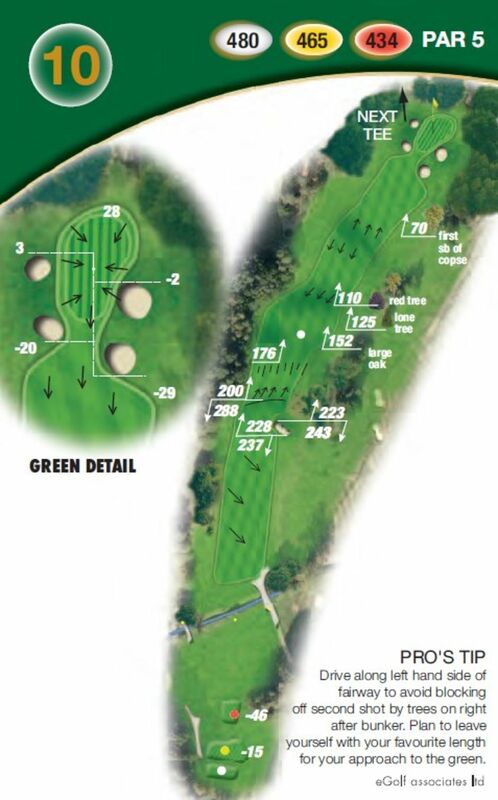 Plan to leave your favourite length for the pitch to the green.